A game between John Meyler's Cork and Kilkenny has been organised to help raise funds to help Kieran O'Connor in his battle with cancer. 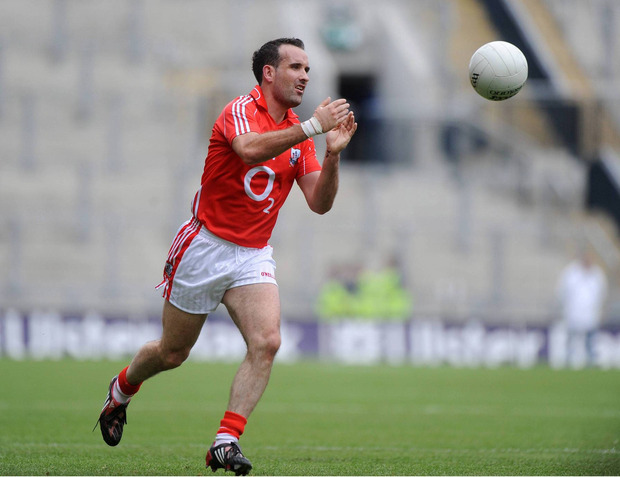 The former 2010 All-Ireland winning footballer is suffering from Ewing’s Sarcoma. A group called the Friends of Kieran O'Connor has already raised over €300,000 for the Aghada clubman in just over a fortnight. Up to 4,000 people, including former teammates and opponents, took part in a walk to raise money for Kieran in Aghada on Monday. Announcing details of the game, Cork County Chairperson Tracey Kennedy said: “Kieran was a tower of strength on the field for many years, and I know he is dealing with his illness with the same fortitude and determination. “It can’t be an easy time for his family, but Kieran is lucky to have the love and support of Sinéad, the children and his extended family too. The fundraising hurling game between Cork and Kilkenny will be played in Páirc uí Rinn on Wednesday, March 27 at 7.30pm, with tickets priced at €10 (adults) and €5 (concessions). Tickets will be available on the night and will also be sold online and at participating Centra/SuperValu stores. A bucket collection will be taken up outside Páirc uí Chaoimh ahead of the Cork v Tipperary Senior and Minor hurling games on May 12.